Do Joomla Article Images plugin store images into the Joomla intro/full image? Where does ''Joomla Article Images Upload and Gallery plugin'' store images? Does it store images into the Joomla core intro/full image field, thus We can show it by the Joomla news article module? By default, this plugin stores an images in 'images/articles' folder. 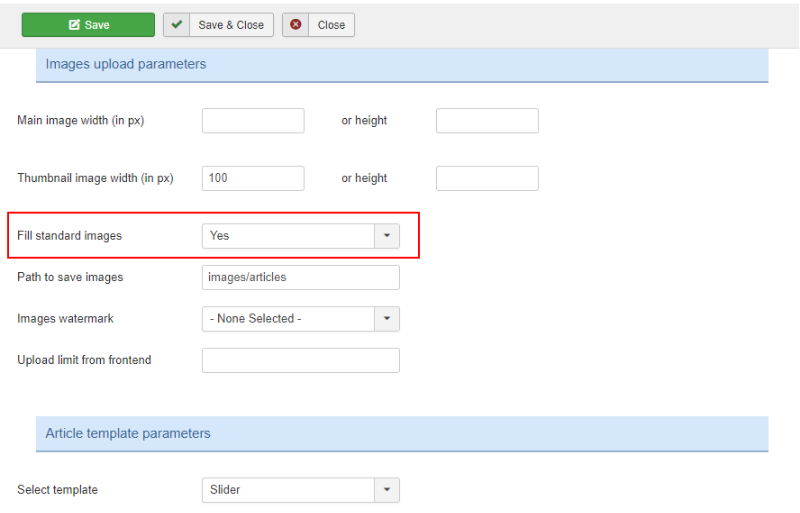 In additional, you can enable a parameter 'Fill standard images' for get a behavior that you need. I couldn't purchase because You only support PayPal. Please accept Mastercard/Visa Card payment. Sorry, we can't receive direct payments. You can pay through PayPal, it is just one-place handler for your Mastercard/Visa cards. You can register in PayPal, then add your card in your account for be able to purchase some products.